Orange County Pit Bull Rescue is a registered 501(c)3 Non-Profit Organization. We rely solely on donations from the public to continue our life-saving missions. 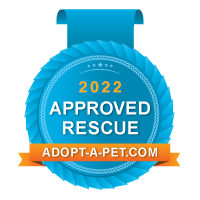 Your donation goes directly back into our organization allowing us to rescue more dogs and achieve our mission. The easiest way to donate is through PayPal. Any amount is so much appreciated! Other easy ways to donate! See our Amazon.com Wish List here! OCPBR is now on IGive.com! Shop online through various companies like Amazon.com, Barnes and Noble, Macy’s and many more. Choose Orange County Pit Bull Rescue as your charity and we receive a portion of the sale! Use this quick and easy link here! Pawlee’s treats is a great company that sources their tasty treats from human-grade ingredients from the US. Pamper your pup and choose OCPBR to benefit from your purchase! The Doggie Basket offers a monthly subscription service to bring the best dog products to your door. Receive a goodie bag full of assorted treats, bones, toys, grooming supplies and much more. Your dog will thank you! Choose OCPBR to benefit from your purchase! Protect Our Only Planet is an environmentally friendly company that offers doggie poop bag subscriptions (free delivery!). Select OCPBR as your rescue of choice at checkout! ResQ Threads offers stylish t-shirts, hoodies, stickers and much more all with a positive message to promote adoption. Select OCPBR as your rescue of choice at checkout and we will receive $10 from every purchase! Dog Park Publishing is a company that sells everything related to Pit Bulls that you have ever wanted! Some of the items available include jewelry, dog clothes, art prints, calendars, housewares and much more! Follow the link under the title for our official OCPBR page- we will receive 10% of your purchase!